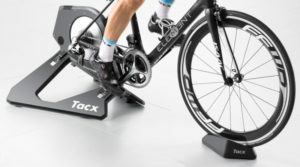 The CycleOps Fluid 2 Power Training Kit is the exact same turbo trainer as the standard Cycleops Fluid 2, but this unit comes with the PowerTap PowerCal Power Meter and a Joule cycling computer. 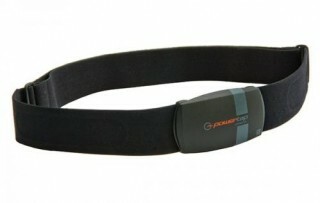 The PowerCal Power Meter is a unique heart rate based power meter that uses specially developed algorithms to turn your heart rate in units of power (e.g. watts, kilojoules, peak power and more.). This type of data is normally only available through more expensive turbo trainers or physical power meters for your bike, which are expensive. 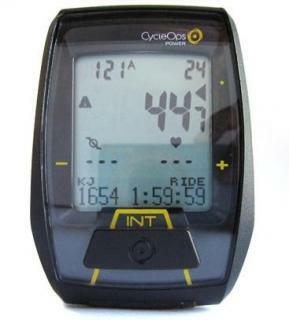 Also, the PowerCal Power Meter can be used with the included speed sensor, which using the Joule cycling computer shows your speed, cadence, heart rate, and the power outputs discussed. 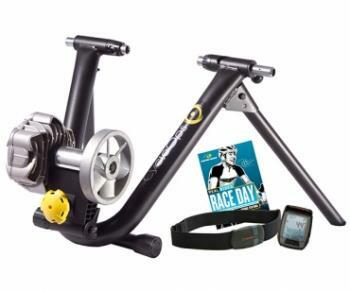 You also get the RealRides Race Day DVD with this unit, which has an 8 day power and endurance workout and 75+ minutes of training.